30 Day Boot Camp Challenge! 30 Day Fitness Class Challenge! For the month of August Kalev Fitness is challenging YOU to partake in our 30 Day Fitness Class Challenge. 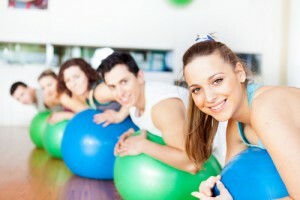 Starting Aug 1st we are giving you 30 days to complete 22 of our fitness classes! Don’t have a package or membership to our classes? Not a problem! Purchase a 30 Day Challenge pass for $99 before August 1st and receive unlimited Boot Camp, Cardio Kickboxing, Spin, Yoga, Core Conditioning, Xfit and Tabata classes for the month! At the end of the month all successful competitors will be eligible to enter in a draw to win either a totalyfree month of personal training, 2 months of gym membership or 3 months of free classes!! All you have to do is complete 22 of our fitness classes in August and make sure you check in with the front desk and check-in on facebook each day you attend class. Easy as that! Want to see what our classes are all about before committing? Come out to our “Super Class” on Tuesday July 30th at 5:30- 7pm. During this time you will get a chance to try out all of our classes for FREE! Spots are open to everyone, but space is limited so click HERE now! Or just pop by the front desk to sign up!